Gold fever swept the world in 1897. The chance for untold riches sent thousands of dreamers on a perilous trek toward their fortunes, failures, or deaths. Follow four English aristocrats and their Irish servant as they misguidedly haul their dreams across cruel Canadian terrain toward the Klondike gold fields. One of the reasons I love historical fiction is how much it teaches me. Not only did I learn more about the KGB, the Mossad and the production of nuclear weapons, but I was never bored and up let several nights not wanting to turn it off. 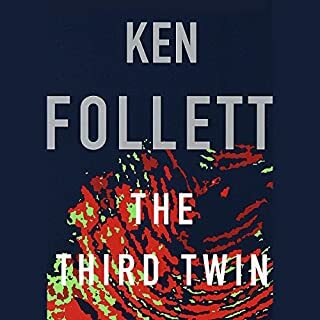 As always Ken Follet delivers interesting characters in extraordinary situations. I would recommend this to a friend who likes stories of cunning and intrigue over stories heavy with action and slick one-liners. My favorite character was the Egyptian double-agent. I found his motivations fascinating. And I was very interested as he took actions that looked evil on the surface, but turned out to be necessary. My favorite character to hate was the Egyptian spy who was working with the Russians. I found his character to be realistic and evil. The realism of him was enhanced in how I found his motivations to be completely unreasonable in my American mind, but to also be in complete agreement with many of the Middle Easterners that I have encountered in my life. What does J. Charles bring to the story that you wouldn’t experience if you just read the book? An Australian accent to a Cockney Englishman. Yes it was. I was listening to it while I was in my workshop woodworking. When I was done, I continued to listen to it as I made and ate dinner. When I wasn't listening to the audiobook, I was thinking about it's twists and turns. The story spans the critical years of the birth of Israel and its growth into a nuclear power. The characters are well developed and mostly believable. The adult relationship between the 2 main characters is well done without being pornographic. 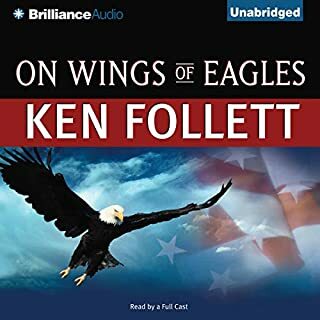 I'm a big fan of Follett, but man, this was a slow one. The characters weren't very identifiable (hard to keep all the B list of characters straight), and the story was just average. The speaker also went too fast, so thanks Audible for the option to slow them down. Not worth the purchase. Overall a good listen, not great. Compared to Follett favorites, Pillars of the Earth, World Without End, Hornet Flight, Code to Zero, Whiteout, and Jackdaws, this one falls short. 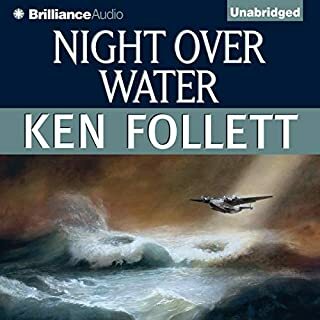 Both of the recent Audible additions I have tried, Eye of the Needle, and this one, are good - just not riveting stories. Previous reviewers were too rough on the reader. He was decent to good. Yes, he butchers a few of the accents, but most readers do. His shortcomings where not annoying to me - as some can be unbearable. Like Eye of the Needle this one teeters between average and good; 3-4 stars. How can a spy be so dumb? It caught our interest in the beginning even though it jumps back and forth in time and place with no warning. Dickstein is a poor excuse for a spy. The reviews say he is expert at disguises, but he never changes his alias, accent, or disguise - even when he knows he's been blown! How stupid is that? Even in the era this takes place, predominantly the '60's, spies would be smarter and more cunning than he is. We are almost ready to ask for a refund. 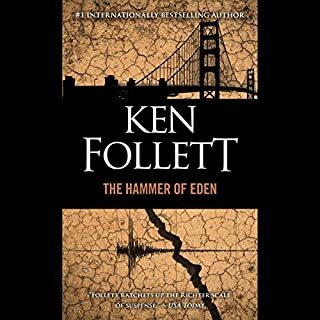 Ken Follet is one of the great storytellers of all time and this is one of his very best! The reader does the book justice, the plot is both believable and interesting, and you just can't stop listening! 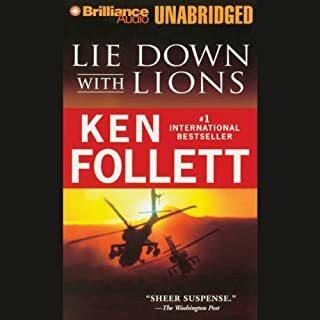 A must for your audio book collection! It started out extremely slow, so much so that I almost stopped listening in the beginning. Eventually the story became more engaging and I finished yet. 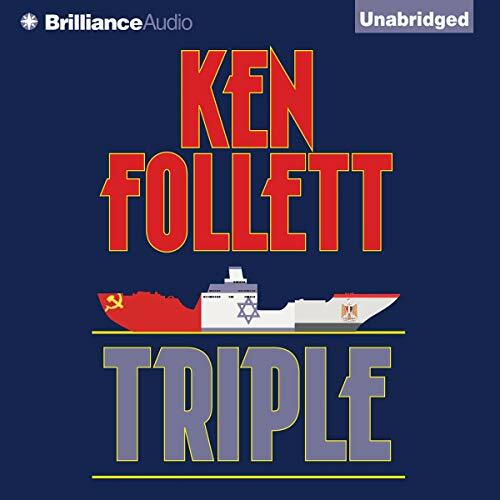 I plan to listen to more of Ken Follett's books. 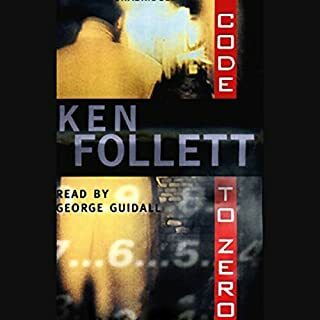 This is my least favorite Ken Follett book. I have absolutely loved all his other books. I found myself bored and struggled to continue at times with this one. This book is not like his others.